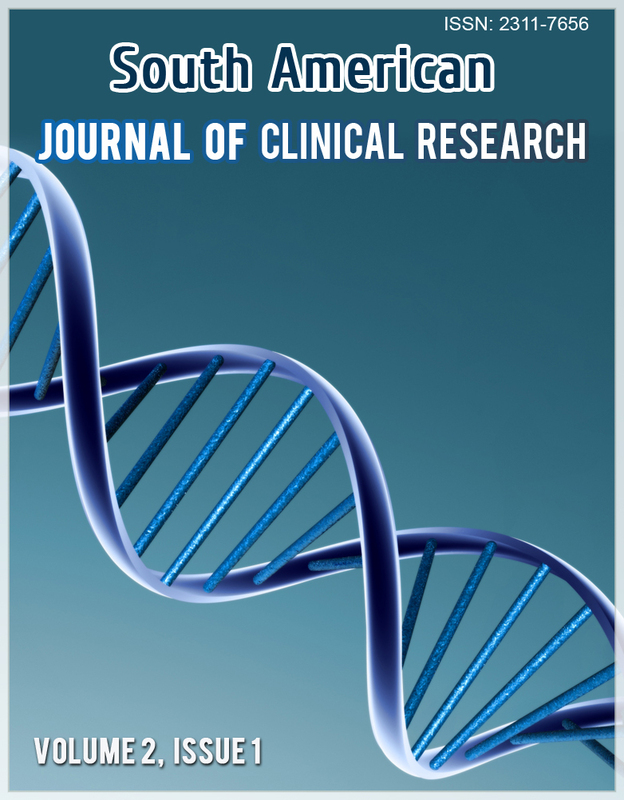 This issues of Clinical Research Journals has articles, case studies and article reviews related to health science. In addition, there are numerous articles based transactional Medicine, Non clinical Trials, Statistics and Biomedical Reserach devices, diagnostic products and treatment regimens intended for human use. Publishes manuscripts pertaining to all aspects of clinical trials, development of knowledge about the analysis, synthesis, history, ethics, regulation and clinical, policy impact of all types of clinical trials and related medical research methodologies. Ethics of clinical research have raised many issues of debate. This, according to Friedman et al., (2010) range from the expected professional obligations of physician, whether clinical research is a worthy cause especially when clinical equipoise is in doubt and what research may imply for patients and societal good. Other such related issues of debate include: which should be an appropriate study design, who should serve as the control group, should placebo be allowed, how well informed is informed consent, equitable conduct of trials among disadvantaged/underprivileged societies, the poor, avoidance of exploitation, how conflict of interest could mar research objectives, protection of subjects confidentiality, right of access to data, control of specimens, and publication ethics. These general issues of ethical debate are largely based on studies involving subjects who are ill and less on those concerning healthy volunteers. This is perhaps because the concept of medical research ethics is focused on safeguarding the physician-patient relationship which inadvertently comes into question when seeking scientific knowledge for health improvement, (Miller and Rosenstein, 2003). It may be perceived also that the history of ethics emanated from the reckless behaviour of some physicians while dealing with their patients. It is therefore perceived that research involving healthy volunteers is less likely to evoke ethical concern since they are not ill, are not imposed with a condition capable of compromising their autonomy and decision-making capacity, and there is no reason for morbidity in their ability to give informed consent. Yet, research involving volunteers have features that can diminish prospective participants’ ability to exercise free and informed choice and the level of uncertainty characterizing this form of inquiry makes subjects vulnerable to harm. It is expected that healthy volunteers do not experience “therapeutic misconception” hence should not be confused about the differences between being a research subject and being treated for a health condition, (Appelbaum et al., 1987). They are expectedly not under the control of the study physician hence should not feel pressure to participate in research. 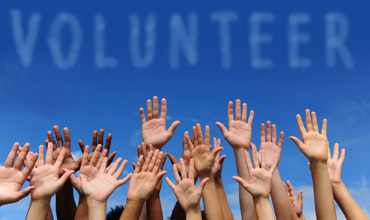 This notwithstanding, healthy volunteers possess characteristics that could make them subjects of ethical abuse even though perceived as non-vulnerable. The area of ethical concerns arises mostly from the monetary payment to volunteers for inconvenience and lost time (undue Inducement), risk assessment and inappropriate informed consent procedure. 1. Appelbaum PS, Roth LH, Lidz CW, Benson P, Winslade W. False hopes and best data: consent to research and the therapeutic misconception. Hastings Cent Rep 1987;17: 20-4. 2. Apseloff G. Severe neutropenia among healthy volunteers given rifabutin in clinical trials. Clin Pharmacol Ther 2003;74:591-2. 6. Flexner C, Barditch-Crovo PA. Severe neutropenia among healthy volunteers given rifabutin in clinical trials. Clin Pharmacol Ther 2003;74:592-3. 12. Miller FG. Clinical research with healthy volunteers: an ethical framework. J Investig Med 2003;51(Suppl 1): S2-5. 13. Miller FG, Rosenstein DL. The therapeutic orientation to clinical trials. N Engl J Med 2003;348:1383-6. 14. Steinbrook R., (2002). Protecting research subjects—the crisis at Johns Hopkins. N Engl J Med;346:716-20. 15. Steinbrook, R., (2008).The Gelsinger Case. In: Emanuel, E., et al., editors. The Oxford Textbook of Clinical Research Ethics. New York: Oxford University Press; p. 110-120. 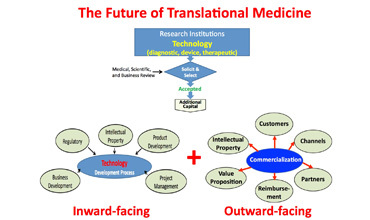 Translational medicine has made impact and have come to be accepted (Dai, et al., 2013) as a global medical strategy for improving Medicare such that, funding of translational medicine globally has increased, it is treated with priority and many institutes for translational studies have been established, (Zhang, 2012). Demonstrating this critical significance of translational medicine to modern medical practice is the emphasis by the World Medical Association (WMA Ethics Manual, 2009), that ‘physicians must know how to interpret research results and apply them to patients’. Essential for research translation is data generated from clinical research. 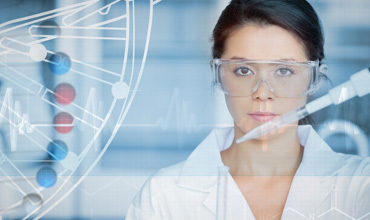 Clinical trials operations require cooperation among a diverse group of stakeholders including research sponsors (industry, academia, government, non-profit organizations, and patient advocates), clinical investigators, patients, funders, physicians, and regulators. This was aptly captured by Dai, et al., (2013), who noted that “enormous collaborative and multidisciplinary work is required prior to when the results of scientific research can be translated into effective clinical practice”. Each stakeholder offers a different set of tools to support the essential components of a clinical trial. These resources form the infrastructure that currently supports clinical research (English, et al., 2010). 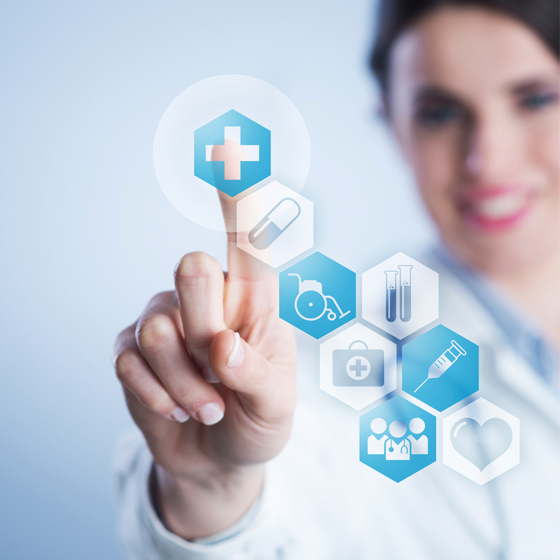 Time, money, personnel, materials (e.g., medical supplies), support systems (ICT as well as manpower), and a clear plan for completing the necessary steps in a trial are all part of the clinical research infrastructure. Significant time, energy, and money from the different collaborators are spent on bringing the disparate resources together. Because these resources are not streamlined, clinical trials infrastructure pose challenges to investigators working on new research questions and most times must start afresh without drawing on existing resources. This imminent lack of harmony and disparate clinical research resources imposes bottlenecks that constitute impediments on the planning, execution and outcome of research which by implication either slow down or prevent translation outright. 2. Aban, I. B., Wolfe, G. I. Cutter, G. R., Kaminski, H. J. Jaretzki III A., Minisman, G., Conwit, R., and Newsom-Davis, J., [on behalf of MGTX Advisory Committee], (2008). The MGTX Experience: Challenges in Planning and Executing an International, Multicenter Clinical Trial J Neuroimmunol. ; 201-202: 80–84. doi:10.1016/j.jneuroim.2008.05.031. 6. Di Masi, J. A., R. W. Hansen, and H. G. Grabowski. 2003. The price of innovation: New estimates of drug development costs. Journal of Health Economics 22(2):151−185. 8. IOM. (2007). Learning What Works best: The Nation’s Need for Evidence on Comparative Effectiveness in HealthCare. http://www.iom.edu/~/media/Files/Activity%20Files/Quality/VSRT/ComparativeEffectivenessWhitePaperF.ashx. 9. Lane, H. C. 2009. Improving the Effectiveness and Efficiency of NIH Intramural Clinical Research. Speaker presentation at the Institute of Medicine Workshop on Transforming Clinical Research in the United States, October 7–8, 2009, Washington, DC. 11. McGlynn, E. A., S. M. Asch, J. Adams, J. Keesey, J. Hicks, A. DeCristofaro, and E. A. Kerr. 2003. The quality of health care delivered to adults in the United States. New England Journal of Medicine 348(26):2635−2645. 15. The Belmont Report: Ethical Principles and Guidelines for the Protection of Human Subjects of Research. National Commission for the Protection of Human Subjects of Biomedical and Behavioral Research. Washington, DC: US Government Printing Office; 1979. 19. Zerhouni, E. A., (2007). Translational research: moving discovery to practice. Clin. Pharmacol Ther 81(1):126–128. A case study on the process of applying for ethical and provincial clearance to conduct a medical informatics research for a PhD programme in South African Hospitals. The programme was looking for current status of medical informatics and implementing electronic healthcare record, challenges, and future direction in South Africa. Nine provinces were contacted and all approved the study, however, the approval was obtained after averaged of 9 months which was longer than expected. The public hospital CEOs and medical managers were also contacted to acknowledge participation and give clearance for the study to be conducted at hospitals. After an average of 3 months to give clearance and out of 40 hospitals contacted only 70% acknowledged. Overall the process took longer than expected to approve a non-clinical trial study for academic purpose. This has delayed the start of the PhD research program and the challenges encountered in the provinces applications are due to autonomy and lack of standardisation of procedure between the provinces, lack of understanding the procedure of the study by the province personnel and hospitals, lack of expertise in handling electronic submissions and non-clinical trial submissions. IT is still a challenge to most of government employees and the infrastructure that can accommodate amount of information. Ethics committee, South African Provincial clearance, Hospital clearance. 1. Angell E and Dixon-Woods M. 2009. Do research ethics committees identify process errors in applications for ethical approval? J Med Ethics; Vol 35: pp 130-132. 4. Burman W, Breese P, Weis S. et al. 2003. The effects of local review on informed consent documents from a multicenter clinical trials consortium. Control Clin Trials. Vol 24, Issue 3: pp 245–55. 6. Cleaton-Jones P; 2010, Process error rates in general research applications to the Human Research Ethics Committee (Medical) at the University of the Witwatersrand: A secondary data analysis.S Afr J BL; vol 3, issue 1: pp 20-24. 7. Cleaton-Jones P and Vorster M. 2008. Workload of a South African university-based health research ethics committee in 2003 and 2007. S Afr J BL; vol 1, issue 2: pp 38-43. 9. Dixon-Woods M, Angell E, Ashcroft RE and Bryman A. 2007. Written work: the social functions of research ethics committee letters. Soc Sci Med; Vol 65: pp 792-802. 10. Dixon-Woods M, Angell E, Tarrant C and Thomas A. 2008. What do research ethics committees say about applications to do cancer trials? Lancet Oncology; Vol 9: pp 700-701. http://www.thelancet/oncology. 12. Ndebele P, Blanchard-Horan C, Shahkolahi A and Sanne I. 2014. Regulatory Challenges Associated With Conducting Multicountry Clinical Trials in Resource-Limited Settings. J Acquir Immune Deﬁc Syndr; Vol 65: pp 29–31. 13. Wolf LE, Croughan M, Lo B. 2002. The challenges of IRB review and human subjects protections in practice-based research. Med Care; Vol 40, issue 6: pp 521–529. Meta-analysis is a statistical approach to combine the data derived from a systematic-review. Therefore, every meta-analysis should be based on an underlying systematic review, but not every systematic review leads to a meta-analysis. Meta-analysis offers a rational and helpful way of dealing with a number of practical difficulties that beset anyone trying to make sense of effectiveness research. This article review was written after details and critical assessment of the research conducted by Been JV et.al. 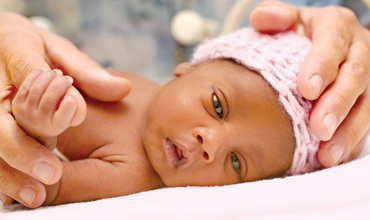 The researchers undertook meta-analysis and a systematic review investigating risks of asthma/wheezing disorders in children born preterm, including the increasing numbers who, as a result of advances in neonatal care, now survive very preterm birth. The trigger of research was accumulating evidence which implicates early life factors in the aetiology of non-communicable diseases, including asthma/wheezing disorders. It was evident that preterm birth particularly very preterm birth increases the risk of asthma. Been JV et.al concluded that these is greater need to focus on understanding mechanisms and translate it into preventive actions. 1. Aspberg S, Dahlquist G, Kahan T, Kallen B (2010) Confirmed association between neonatal phototherapy or neonatal icterus and risk of childhood asthma. Pediatr Allergy Immunol 21: e733–e739. 2. Civelek E, Cakir B, Orhan F, Yuksel H, Boz AB, et al. (2011) Risk factors for current wheezing and its phenotypes among elementary school children. PediatrPulmonol 46: 166–174. 6. Joshi S, Powell T, Watkins WJ, Drayton M, Williams EM, et al. (2013) Exercise induced bronchoconstriction in school-aged children who had chronic lung disease in infancy. J Pediatr 162: 813–818. 7. Kumar R, Tsai HJ, Hong X, Gignoux C, Pearson C, et al. (2012) African ancestry, early life exposures, and respiratory morbidity in early childhood. ClinExp Allergy 42: 265–274. 8. Kumar R, Yu Y, Story RE, Pongracic JA, Gupta R, et al. (2008) Prematurity, chorioamnionitis, and the development of recurrent wheezing: a prospective birth cohort study. J Allergy Clin Immunol 121: 878–884. 10. Nurmatov U, Devereux G, Sheikh A (2011) Nutrients and foods for the primary prevention of asthma and allergy: systematic review and meta-analysis. J Allergy Clin Immunol 127: 724–733. 12. Riley RD, Higgins JP, Deeks JJ. (2011) "Interpretation of random effects meta-analyses". British Medical Journal Feb 10;342:d549. 13. Robison RG, Kumar R, Arguelles LM, Hong X, Wang G, et al. (2012) Maternal smoking during pregnancy, prematurity and recurrent wheezing in early childhood. PediatrPulmonol 47: 666–673. 14. Vogt H, Lindstrom K, Braback L, Hjern A (2011) Preterm birth and inhaled corticosteroid use in 6- to 19-year-olds: a Swedish national cohort study. Pediatrics 127: 1052–1059. 15. Vollsaeter M, Roksund OD, Eide GE, Markestad T, Halvorsen T (2013) Lung function after preterm birth: development from mid-childhood to adulthood. Thorax 68: 767–776. Biostatistics is the application of statistical techniques to biological data obtained prospectively and/or retrospectively. Statistics plays critical analytical role in biomedical research. It is the bases for building clear inference from the data collected in a biomedical evaluation and without which it would be impossible to declare an outcome from any clinical trial. This critical role of biostatistics in biomedical research was noted by Cadarso-Suárez, and González-Manteiga, (2007), who stated that “the discipline of biostatistics is nowadays a fundamental scientific component of biomedical, public health and health services research” and pointed out traditional and emerging areas of application as “clinical trials research, observational studies, physiology, imaging, and genomics”. At the same time, misuse of biostatistics has resulted in several misleading outcomes and several workers have progressively noted the many statistical errors and shortcomings found in a large number of biomedical publications (Porter, 1999; Cooper, et al., 2002; García-Berthou and Alcaraz 2004; Strasak, et al., 2007; Ercan, et al., 2007; Thiese, et al., 2015). Ercan, et al., (2007) specifically notes that this observations cuts across “every stage of a medical research related to data analysis; design of the experiment, data collection and pre-processing, analysis method and implementation, and interpretation”. Similarly, Thiese, et al., (2015), points to data abuses such as “incorrect application of statistical tests, lack of transparency and disclosure about decisions that are made, incomplete or incorrect multivariate model building, or exclusion of outliers”. The role of statistics in medical research starts at the planning stage of a clinical trial or laboratory experiment to establish the design and size of an experiment that will ensure a good prospect of detecting effects of clinical or scientific interest. Statistics is again used during the analysis of data (sample data) to make inferences valid in a wider population. Specifically, statistics has two roles in laboratory experiments and clinical trials. 3. Bossuyt, P.M., Reitsma, J.B., Bruns, D.E., Gatsonis C.A., Glasziou, P.P., Irwig, L.M., et al. The STARD statement for reporting studies of diagnostic accuracy: explanation and elaboration. Ann Intern Med 2003;138:W1-12. http://dx.doi.org/10.7326/0003-4819-138-1-200301070-00010. 6. Cooper, R.J., Schriger D.L., Close R.J.H. Graphical literacy: the quality of graphs in a large-circulation journal. Ann Emerg Med. 2002;40:317–22. 8. García-Berthou E., Alcaraz C., Incongruence between test statistics and P values in medical papers. BMC Med Res Method. 2004;4:13–7. 9. Harrell, F.E., Jr. Regression modelling strategies with applications to linear models, logistic regression, and survival analysis. Springer-Verlag; New York: 2001. 10. Mandrekar, J. N. and Mandrekar, S. J., (2009). Biostatistics: A toolkit for exploration, validation and interpretation of clinical data. J Thorac Oncol. ; 4(12): 1447–1449. doi:10.1097/JTO.0b013e3181c0a329. 12. Moher,. D., Schulz, K.F., Altman DG. The CONSORT statement: revised recommendations for improving the quality of reports of parallel group randomized trials. BMC Med Res Methodol 2001;1:2. http://dx.doi.org/10.1186/1471-2288-1-2. 13. Porter, A. M., Misuse of correlation and regression in three medical journals. J Roy Soc Med. 1999;92:123–8. 17. Von Elm E., Altman D.G., Egger M., Pocock, S.J., Gotzsche, P.C., Vandenbroucke, J.P., The Strengthening the Reporting of Observational Studies in Epidemiology (STROBE) statement: guidelines for reporting observational studies. Prev Med 2007;45:247-51. http://dx.doi.org/10.1016/j.ypmed.2007.08.012. In clinical trials, the informed consent process intends to provide information to the individuals about the risks, rights, and benefits of participation. However, obtaining informed consent from subjects with diminished mental abilities and impaired capacity to consent has been a challenge for many researchers. In addition, little is known about the willingness of Indian schizophrenic patients with depressive symptoms to participate in psychiatry research. The present study was designed to understand the attitudes of Indian schizophrenic patients with depressive symptoms regarding clinical trial participation. This interview-based study was conducted on fifty patients aged 18–65 years who met the DSM-IV diagnostic criteria for schizophrenia, and who had depressive symptoms as defined by a score of ≥ 7 on the Montgomery–Asberg Depression Rating Scale (MADRS). The patients were asked to pretend that they were potential candidates for a hypothetical trial involving an antipsychotic drug, and were given the following three questions to express their attitudes towards clinical trial participation: 1). Is there a need for clinical trials in India? 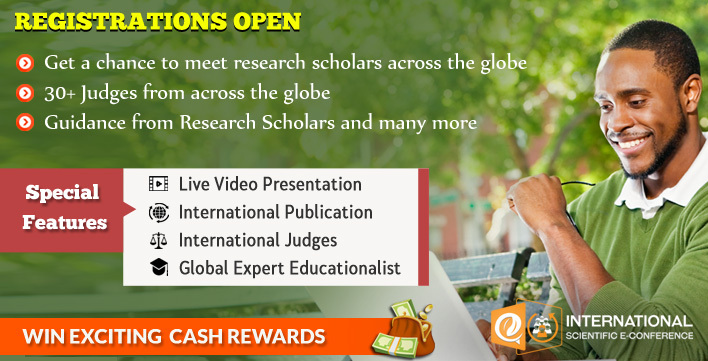 2) As a study subject you will receive monetary reimbursement per visit. Do you feel you should be reimbursed? Why? 3) What is your level of convenience with respect to travel/stay at the hospital for clinical trial procedures? All of the fifty patients completed the interview-based study. Agree/disagree/do not know options were used to assess the attitude assessment sections. Attitudes toward clinical research were positive. All (100 %) patients were of the opinion that clinical trials should be conducted in India. When asked about thoughts on monetary reimbursements per visit, twenty eight (56%) patients agreed to the fact that such reimbursement for research participation should be offered for their time off from work to attend study visits. The remaining twenty two (44 %) patients felt that their participation would be for societal benefits and for receiving an additional care for their concerned disease. Regarding convenience, all patients chose to travel once a week to the study site and 76% of them agreed to hospitalization for trial-related procedures. The attitudes of Indian schizophrenic patients with depressive symptoms were indicative of their willingness to participate in psychiatry research. Conducting a study with a large sample using structured interviews should validate the results of this study. 1. Breitkopf C, Loza M, Vincent K. Perceptions of Reimbursement for Clinical Trial Participation. Empir Res Hum Res Ethics. 2011; 6(3): 31–38. 2. Chong S, Ong Y, Subramaniam M. An assessment of the understanding and motivations of patients with schizophrenia about participating in a clinical trial. Contemp Clin Trials. 2009;30:446-450. 3. Council for International Organizations of Medical Sciences 4. (CIOMS), International Guidelines for Biomedical Research involving Human Participants, Geneva, 1993. Available from: www.cioms.ch, accessed on April 15, 2015. 4. Ellis P. Attitudes towards and participation in randomized clinical trials in oncology: A review of the literature. Ann Oncol. 2000;11(8):939-45. 5. Edlinger M, Deisenhammer EA, Fiala M, Hofer A, Kemmler G. Attitudes of patients with schizophrenia and depression towards psychiatric research. Psychiatry Res. 2010;177(1-2):172-6. 6. Gupta U, Kharawala S. Informed consent in psychiatry clinical research: A conceptual review of issues, challenges, and recommendations. Perspect Clin Res. 2012;3(1):8-15. 7. Indian Council of Medical Research (ICMR). Ethical 5. Guidelines for Biomedical Research on Human Participants. New Delhi: ICMR; 2006. Available from: http://icmr.nic.in/ethical_guidelines.pdf, accessed on April 15, 2015. 8. Ray G. Psychopathology And Psychiatric Disorders In Neuropsychiatric Patients. A Prospective Study. Available from: http://www.priory.com/psych/neuropsy.htm,accessed on April 15, 2015. 9. Roberts L, Warner T, Brody J. Perspectives of patients with schizophrenia and psychiatrists regarding ethically important aspects of research participation. Am J Psychiatry. 2000;157:67-74. 10. Shah J. What Leads Indians to Participate in Clinical Trials? A Meta-Analysis of Qualitative Studies. PLoS ONE. 2010;5(5):e10730. doi:10.1371/journal.pone.0010730. 11. Tyler J. Informed Consent, Confidentiality, and Subject Rights in Clinical Trials. Proc Am Thorac Soc. 2007;4:189-193. 12. Vaz M, Srinivasan K. Ethical challenges and dilemmas for psychiatric researchers. Indian J Med Res. 2014;139: 191-193. 13. Warner T, Roberts L, Nguyen K. Do psychiatrists understand research-related experiences, attitudes, and motivations of schizophrenia study participants? Compr Psychiatry. 2003;44:227-233. 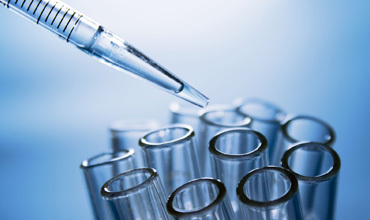 Clinical Research is an investigation in humans anticipated to decide or confirm the effects of a drug or to identify any adverse reactions with an intention of ascertaining its safety and efficacy. Quality of clinical Research relies on data consistency and subject safety. Quality control and quality assurance are part of quality management systems. There is an increasing focus on having quality systems in place throughout the planning stages of clinical Research. The regulatory outline for clinical Research has altered in recent years with the addition of thorough controls to guarantee patient protection and data dependability. There is a clear requisite to execute the principles of planned quality management in health research to avoid failure, take full advantage of the utilization of offered resources and guarantee reliability and integrity of results. Ideally, all clinical Research ought to have a Clinical Research Quality Management Plan (CRQMP) describing the tools that will be used to guarantee study quality. Adoption of quality-by-design (QbD) and quality risk management methods for clinical Research management is the current mantra at FDA. Quality by Design, Quality Management System, Quality assurance, Good clinical Practice. 1. Allen Jean Toth: Building quality into clinical Research- an FDA perspective. May 14, 2012. http://www.fda.gov/downloads/Drugs/.../UCM303954.pdf. 2. A Guided Self-Assessment for Human Research Protection Programs http://www.hhs.gov/ohrp/qi/. 3. Ann Meeker-O’Connell: Enhancing Clinical Research Quality: CDER Perspective. http://www.fdanews.com/ext/files/Conference/FIS10Presentations/MeekerOConnell-HarmonizingRegulatoryApproaches.pdf. 4. Ajay S, Bhatt A: Knowledge and skills at the study site - requirements for clinical research professionals in India: A Survey. CR Focus. 2008; 19:36–9. 5. American Society for Quality. Project planning and implementing tools. http://www.asq.org/learn-about-quality/project-planning-tools/overview/pdca-cycle.html. 7. Barbara Leishman, F. Hoffmann: Quality by Design in Clinical Projects If you keep on doing what you always did http://www.chiltern.com/pdf/customers/Chiltern%20v2-%20QRM.pdf. 8. Clinical Research Transformation Initiative (CTTI): Conducting Multicenter Clinical Research: New Recommendations and Tool for Research. https://www.ctti-clinicalResearch.org/. 9. Code of Federal Regulations Title 21. US Food and Drug Administration, Department of Health and Human Services. Subchapter D: drugs for human use. Investigational New Drug Application Subpart D—responsibilities of sponsors and investigators. Sec. 312.50. General responsibilities of sponsors. http://frwebgate.access.gpo.gov/cgi-bin/getcfr.cgi? 11. Eisenstein EL, Collins R, Cracknell BS, et al: Sensible approaches for reducing clinical Research costs. Clin Research 2008; 5:75-84. 12. FDA ORA Quality Manual. http://www.fda.gov/AboutFDA/CentersOffices/ORA/UCM135836.htm. 14. Information Sheet Guidance for IRBs, Clinical Investigators, and Sponsors FDA Inspections of Clinical Investigators. http://www.fda.gov/downloads/RegulatoryInformation/Guidances/UCM126553.pdf. 15. Johan PEK, Marjorie AS, Reviewing Clinical Research: A Guide for the Ethics Committee. March 2010. www.pfizer.com/files /research/...Research/ethics_committee guide.pdf. 16. Kleppinger CF, Ball LK: Building quality in clinical Research with use of a quality systems approach. http://cid.oxfordjournals.org/content/51/Supplement_1/S111.full. 17. Lewis DD, Yang Y, Rose T, Li F. A new benchmark collection for text categorization research. J Ma-chine Learn Res. 2004; 5:361–397. 18. Loff B, Black J: Research ethics committees: What is their contribution? Med J Aust. 2004; 181:440–1. 20. Matzat J: Educating and training CRAs for the field. Monitor. 2011:32–5. 21. Mirowski P, Van Horn R: The contract research organization and the commercialization of scientific research. Soc Stud Sci 2005; 35:503-548. 22. Morrison BW, Cochran CJ, White JG, Harley J, Kleppinger CF, Liu A, et al: Monitoring the quality of conduct of clinical Research: A survey of current practices. ClinResearch. 2011; 8:342–9. 23. Pharmaceutical Research and Manufacturers of America. White paper on acceptable approaches for clinical Research monitoring. Office of Scientific and Regulatory Affairs; March 2009. 24. Preparing for an FDA medical Device Sponsor Inspection. http://www.fda.gov/downloads/Training/CDRHLearn/UCM176843.pdf. 25. Quality Assurance and Educational Standards for Clinical Research Sites. J Oncol Practice 2008; 4(6):280–282. http://jop.ascopubs.org/content/4/6/280.full?sidpa9e414cd-8327-47cc-87aa-89959172e375. 26. Research needs quality management. 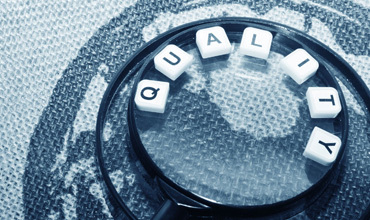 Article, quality management. http://www.therqa.com/assets/js/tiny_mce/plugins/filemanager/files/Committees/Quality/Research_needs_quality_manag emeny_system.pdf. 27. Stark Yafit: Clinical Quality by Design (QbD) & the Critical Path. May 2010. http://apps.pharmacy.wisc.edu/esp/prog/IsraelQBD/handouts/Starck%20Yafit.pdf. 28. Sina Djali, MS: How a Data-Driven Quality Management System Can Manage Compliance Risk in Clinical Research. Drug Information Journal, Vol. 44, pp. 359–373, 2010 • 0092-8615/2010. www.diahome.org/productfiles/8357/diaj_36269.pdf. 30. Wechsler: Central vs. local: rethinking IRBs. Applied Clinical Research Online 2007. http://appliedclinicalResearchonline.findpharma.com/appliedclinicalResearch/Regulatory+Articles/Central-vs-Local-Rethinking-IRBs/ArticleStandard/Article/detail/401619. This is a retrospective/cross-sectional study conducted at a regional psychiatric hospital in Nigeria. This report compares two groups (pre and post intervention groups), following an intervention initiated by the hospital to combat stigma, in 2008. They were compared in terms of service engagement, clinical and socio-demographic characteristics. All patients who presented for the first time during the study period were recruited. All information were sourced from patients’ case notes. Using the SPSS16, descriptive statistics were used to summarize the data and inferential statistics to test associations. Correcting misconceptions about mental illness, psychiatric treatments and mental health facilities could reduce stigma, enhance service utilization, and improve clinical outcomes for people with mental illness. More robust studies are needed. 1. Alonso, J., Angermeyer, M. C., Bernert, S., Bruffaerts, R., Brugha, T. S., Bryson, H., & Vollebergh, W. A. M. (2004). Prevalence of mental disorders in Europe: results from the European Study of the Epidemiology of Mental Disorders (ESEMeD) project. Acta Psychiatrica Scandinavica, 109(s420), 21-27. 3. Bustin, J., Rapoport, M. J., Krishna, M., Matusevich, D., Finkelsztein, C., Strejilevich, S., & Anderson, D. (2008). Are patients' attitudes towards and knowledge of electroconvulsive therapy transcultural? A multi‐national pilot study. International journal of geriatric psychiatry, 23(5), 497-503. 4. Glen, T., & Scott, A. I. (1999). Rates of electroconvulsive therapy use in Edinburgh (1992–1997). Journal of affective disorders, 54(1), 81-85. 5. Gureje, O., Lasebikan, V. O., Ephraim-Oluwanuga, O., Olley, B. O., & Kola, L. (2005). Community study of knowledge of and attitude to mental illness in Nigeria. The British Journal of Psychiatry, 186(5), 436-441. 7. James, B. O., & Omoaregba, J. O. (2011). Prevalence and predictors of poor medication adherence among out-patients at a psychiatric hospital in Benin City, Nigeria. International journal of psychiatry in clinical practice, 15(1), 27-34. 8. 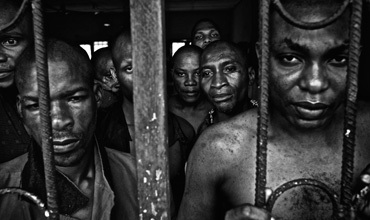 James, B. O., Lawani, A. O., Omoaregba, J. O., & Isa, E. W. (2010). Electroconvulsive therapy: a comparison of knowledge and attitudes of student nurses and staff mental health nurses at a psychiatric hospital in Nigeria. Journal of psychiatric and mental health nursing, 17(2), 141-146. 9. Jan-Otto, O., & Max, F. (2004). Ethics in Electroconvulsive Therapy. New York: Brunner-Routledge. 10. Keh-Ming, L. & Cheung, F, (1999). "Mental health issues for Asian Americans." Psychiatric Services, 50(6), 774-780. 11. Kessler, R.C., Zhao, S., Katz, S.J., Kouzis, A.C., Frank, R.G., Edlund, M., &Leaf, P. (1999). Past-year use of outpatient services for psychiatric problems in the National Comorbidity Survey. The American Journal of Psychiatry, 156(1), 115-23. 12. Kitchener, B. A., & Jorm, A. F. (2004). Mental health first aid training in a workplace setting: a randomized controlled trial [ISRCTN13249129]. BMC psychiatry, 4(1), 23. 13. Maio, G., ZumBild der Psychiatrieim Film und dessenethische Implikationen. In: Gaebel W, Möller H-J, Rössler W (eds). (2005) Stigma - Diskriminierung - Bewältigung, Der Umgangmitsozialer Ausgrenzungpsychisch Kranker. Stuttgart: Kohlhammer, 99–121. 17. Sartorius, N., Gaebel, W., CLEVELAND, H. R., Stuart, H., Akiyama, T., Arboleda‐Flórez, J. U. L. I. O., & Tasman, A. (2010). WPA guidance on how to combat stigmatization of psychiatry and psychiatrists. World Psychiatry, 9(3), 131-144. 18. Sowande A. (2010). Reaching Communities with Safe Injection Messages – an Outcome of BCC Interventions in Nigeria. Report of the Annual Meeting of the Safe Injection Global Network. http://www.who.int/injection_safety/toolbox/sign2010_meeting.pdf (accessed 22 February 2012). 19. Stuart, H. (2006). Media portrayal of mental illness and its treatments. CNS drugs, 20(2), 99-106. 20. Thompson, J. W., Weiner, R. D., & Myers, C. P. (1994). Use of ECT in the United States in 1975, 1980, and 1986. American Journal of Psychiatry, 151(11), 1657-1661. 21. Wolff, G., Pathare, S., Craig, T., & Leff, J. (1996). Community knowledge of mental illness and reaction to mentally ill people. The British Journal of Psychiatry, 168(2), 191-198. 22. World Health Organization. 2001. International Classification of Functioning, Disability and Health. Geneva: WHO. 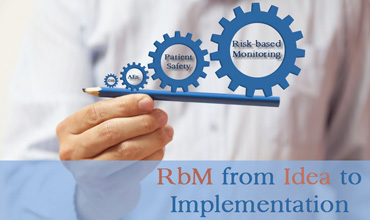 A Risk Based Approach to Monitoring (RBM) guidance released by the EMA and FDA has generated tremendous opportunities and discussions on the prospects of clinical trial monitoring practices. This guidance has raised an array of new tools, technologies and systems to facilitate the approach. However, there is very limited information on the how the clinical trial professionals will have to adapt and adopt their behaviors, skills, competencies and knowledge to leverage the optimal outcome. This paper via literature search and dialogue sessions explores the current working practices and illustrates the evolving role of a clinical trial monitor and key study team members in the RBM landscape. The current working practices suggest that RBM is creating interdependencies between the cross functional team members. This interdependency and appropriate leveraging of the competencies between the study team members is a key component to driving the culture shift towards a more in-stream data visualization, review and quality governance. 6. Kumar P; Dalal, J; Jadhav. (2014). Risk Based Monitoring-Current Challenges with Implementation. Postdoc Journal, Vol.2, No.11, November 2014. Pathogenic fungi in the genus Candida can cause both superficial and serious systemic disease, and are now recognized as major agents of hospital-acquired infection. Candida infections involve the formation of biofilms on implanted devices such as indwelling catheters or prosthetic heart valves. Nosocomial infections due to candida are also becoming increasingly important. Early and prompt diagnosis, proper treatment and prevention of candidemia due to biofilms pose a major challenge for microbiologists and clinicians worldwide. Biofilm is an aggregate of microorganism in which cell adhere to each other on a surface. It has been reported that organism in biofilms are more resistant to antimicrobial agents than there planktonic (free) form. Formation of a biofilm begins with the attachment of free-floating microorganisms to a surface. These first adhere to the surface initially through weak, reversible adhesion via Vander Waal forces. If the colonies are not immediately separated from the surface, they can anchor themselves more permanently using cell adhesion structures such as pilli. There are five stages of biofilm development such as i) initial attachment ii) irreversible attachment iii) maturation I iv) maturation II v) dispersion. 1. Douglas J.L. Candida Biofilms and their role in infection, Review Trends in Microbiology, Jan 2003, vol. 11, 30-36. 2. Pfaller M.A. Nosocomial Candidiasis: emerging species, reservoirs and modes of transmission. Cl. Infect. Dis., Oxford Jour. 1996 (suppl. 2) 589-94. 3. Chandra J. Kuhn D.et al; Biofilm formation by fungal pathogen Candida albicans: development architecture and drug resistance. Jour. Bacteriol. 2001 183(18) 5385-94. 4. Watnick P. Kotler R. Biofilm: city of microbes, Jour. Of Bacteriol. May 2000 182(10) 2675-79. 6. Berry V. Badyal D. sensitivity of clinical isolates of Candida species to antifungal drugs org. art. J.K. science 2006 8(4)214-20. 7. Mary A.J. Falkler W. Fungal biofilm and drug resistance. Emerg. Infect. Dis. 2004 Jan. 10(1); 14-19. 8. Kokare C. Chakraborty S. et al; Biofilm: importance and applications.rev Ind. Jour. of Biotech. 2008 8,159-68. 9. Chander J. Textbook of medical mycology, Mehta publications Ed.3rd, chapter20, Candidiasis, 266-83. 11. Shin J. Kee S. et al; Biofilm production by isolates of Candida species recovered from non neutropenic patients: comparison of bloodstream isolates from other sources. Jour. Of Cl. Microbiol. apr. 2002 40(4) 1244-48. 12. Paanusorn S. Fernandez V. et al; Prevalence of biofilm formation in clinical isolates of Candida species causing bloodstream infection. Jour. of mycoses.2013, 56(3) 264-72. 13. Mohandas V.et al; Distribution of Candida species in different clinical isolates and their virulence: Biofilm formation, proteinase and phospholipase production: a study on hospitalized patients in Southern India. Jour. Glob. Infect.Dis.20113 (1):4-8. 14. Lal P. Agarwal V.et al; Biofilm formation by Candida albicans isolated from intrauterine devices. Ind. Jour. of Microbiol. 2008 48:438-444. 15. Hawser S. Douglas J. Biofilm formation by Candida species on the surface of catheter material in vitro. Jour. of Infection and Immunity 1994 62(3):915-921. 16. 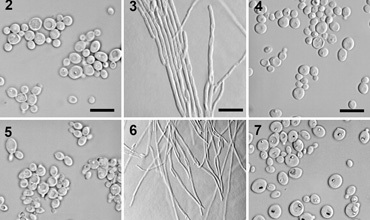 Silva S.et al; Biofilm formation ability by Non albicans Candida species biofilm club 2007 33-41. 17. Gokce G.et al; Acid proteinase, phospholipase and biofilm production of Candida species isolated from blood culture J. Mycopathologia 2007 164(6) 265-269. 19. JPG image niaid.nih.gov; erc.montana.edu. 20. Tumbarello M. Posteraro B. et al. Biofilm production by Candida species and inadequate antifungal therapy as predictors of mortality for patients with candidemia. Jour. Of Cl. Microbiol. June 2007 45(6) 1843-1850. 21. Seneviratne CJ, Jin L, Samaranayeke LP. Biofilm lifestyle of Candida: A mini review Oral Dis. 2008; 14: 582-590. 22. Aparna MS, Yadav S. Biofilms: Microbes and Disease. The Braz. J. Infect. Dis.2008; 12: 526-530. 23. RM Dominic, S Shenoy, S Baliga. Candida biofilms in medical devices: Evolving trends. Kath Univ Medical J. 2007; Vol. 5, No. 3, Issue 19, 431-436. 24. Baillie GS, Douglas LJ. Candida biofilm and their susceptibility to antifungal agents. Methods Enzymol.1999; 310:644–56. 26. Chakrabarti A, Singh K, Das S. Changing face of nosocomial candidaemia. Indian J Med Microbiol.1999; 17:160–6. 27. Vinitha, M and Ballal, M. Biofilm as virulence marker in Candida isolated from blood, World J for Medical Sciences 2007;2:46-48. Adverse reactions to iodinated contrast media constitute a major challenge in radiography practice. This study was aimed at establishing the prevalence of such reactions in our environment so as to plan for more effective management. A total of 750 patients were approached for this study, but only One hundred and fifty patients participated. They were those referred for Intravenous Urography (IVU) and Computed Tomography (CT) Scans involving intravenous injection of Urografin 76%, at the Lagos University Teaching Hospital (LUTH) Lagos, Nigeria. A semi-structured questionnaire was used to capture the patient’s demography, experience during the procedure and adverse reactions observed. Data were analyzed using a soft ware package EPI Info 3.5.1 and results were tested at 5% level of significance. A very high prevalence of immediate adverse reaction of 92.7% was revealed. Use of ionic, high - osmolar contrasts agent, level of anxiety, suspected poor storage condition and handling by the importing vendors accounted for this high degree. History of allergy had no significance, while rapid injection rate was associated with increased prevalence. Most adverse reactions occurred within 5mins of injection of the contrast medium. Nausea (63%), and Dizziness (50.4%) were the most two adverse reactions that manifested. Majority of patients in this study suffered adverse reactions due to the use of ionic contrast agent. Non ionic contrast agents should replace ionic contrasts, in spite of the high cost. However, adequate precautionary measures should be put in place if the use of ionic contrast agent is inevitable. Acute adverse reaction, contrast media, radiographic procedures, risk factors. 1. American College of Radiology (ACR) Manual of contrast media, 2010, Version 7. 2. Ansell, G., Tweedle, M. C., West, C. R., Evans, P. & Couch, L. (1990). The current status of reactions to intravenous contrast media, Invest Radiol, 15: S32-S39 Medline. 3. Beatriz, C.J. & Clarice, M.D. (2007) Immediate adverse reactions to intravenous iodinated contrast media in computed tomography, Revista Latino – Americana de Enfermagem, Vol. 15, No. 1 Ribeirão Preto. Jan/Feb. 4. Christensen, C. (2005). X-Ray contrast media – an overview. Toxicology, 209, 185-7. 5. Dickson, M. C. & Kam, P. C. A. (2008). Intravascular Iodinated contrast Media and the Anaesthetist, Journal of Anaesthesia, Vol.63 (6), 626-634. 6. Djikmans, P. A., Visser, C.A. & Kamp, O. (2005). Adverse Reactions to Ultrasound contrast Agents: Is the Risk Worth the Benefit? European Journal of Echocardiography, volume 6, Issue 5, 363-366. 7. Katayama, H., Yamaguchi, K., Kozuka, T., Seez, P. & Matsuura, K. (1990). Adverse reactions to ionic and nonionic contrast media: a report from the Japanese Committee on safety of Contrast Media : Radiology, 175, 621-628. 8. Katzbery, R. W. (2008). Acute Reactions to Urography Contrast Medium: Incidence, Clinical Characteristics, and Relationship to History of Hypersensitivity States –A Commentary. American Journal of Roentenology, 190. 431. 9. Lang, D. M., Alpern, M. B., Visintaine, P. F. & Smith, S. T. (1995). Gender risk for anaphylactoid reaction to radiographic contrast media, J Allergy Clinical Immunology; 95:813-7. 10. Lasser, E. C. & Berry, C. C. (1989). Nonionic vs Ionic Contrast Media: What Do the Data Tell Us, American Journal of Roentenology, 152, 941-949. 11. Lasser, E. C., Lyon, S. G. & Berry, C. C. (1997). Reports on contrast media reactions: analysis of data from reports to the U.S. Food and Drug Administration, Radiology, 203, 605-610. 12. Maddox, T. G. (2002). Adverse Reactions to Contrast Material: Recognition, Prevention and Treatment, American Family Physician, Vol.66. No 7, 1229-1234. 13. 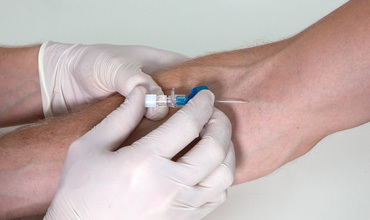 Manouchehr, S. (2012).Intravenous Radio-contrast Media: A review of Allergic Reactions. US Pharmacyst, 37(5), Hs14 – Hs16. 14. Modi, D. J., Mahyavanshi, D. K., Kotecha, J. K., Ashutosh, D. & Harshad, S. (2012). Adverse reactions to intravenous iodinated contrast media: a prospective study, International Journal of Basic & Clinical Pharmacology, Vol. 1, Issue 3, 211- 215. 15. Morcos, S. K. (2005). Acute serious and fatal reactions to contrast media: our current understanding. The British Journal of Radiology, 686-693. 16. Morco, S. K. & Thomsen, H. S. (2001). Adverse reactions to iodinated contrast media. Euro Radiology, 12, 2600-2605. 17. Morcos, S. K., Thomsen, H. S. & Webb, J. A. W. (2001). Contrast Media Safety Committee of European Society of Urogenital Radiography; Prevention of generalized reactions to contrast media: a consensus report and guidelines. Euro Radiology, 11, 1720-1728. 18. Panitan, P., Naruemon, D., Kowit, J., Surrerat, J. & Torponf, T. (2013). Adverse Reaction to Iodinated Contrast Media: Prevalence, risk factors and outcome – the result of a 3year period, Asian Pac J Allergy Immunol 31, 299 – 306. 19. Rawlins, M. D. (1981). Clinical pharmacology: adverse reactions to drugs. BMJ 282974-976. 20. Shehadi, W. H. (2008). Adverse Reactions to Intravascularly Administered Contrast Media: A Comprehensive Study Based on Prospective Survey. American Journal of Roentgenology, 190, 187-190. 22. Thomsen, H. S. & Morcos, S. K, (2000). Radiographic contrast media, BJU International, 8, 1-10. 23. Wang, C. L., Cohhan, R. H., James, H. E., Caoili, E. M., Wang, G. & Francis, I. R. (2008). Frequently; Outcome, and appropriateness of Treatment of Non-ionic Iodinated Contrast Media Reactions. American journal of Roentgenology, 409-419. 24. Wang, D. Y., Forslund, C., Persson, U. & Wiholm, B. E. (1998). Drug-attributed anaphylaxis, Pharmacoepidemiol Drug Safety, 7, 269-74. A questionnaire based survey was conducted in different parts of India, covering all kind of population. Questionnaires were filled with the help of investigators, physicians, social workers, freelancers, research professionals, etc. India is said to be the hub of clinical research. It is also equivalently important that the population in India are well aware about the basics of clinical research so that individuals are not treated as “guinea pigs” and the research is conducted with full ethics and good clinical practice. The study was undertaken to analyze the perspective and awareness of clinical research amongst Indian population. There were 20 different parameters/data points for which the data was collected from 6122 patients across the country. As the available data is dichotomous a dynamic analysis was done using a percentile method. Clinical trials in India are conducted in ethical manner but still the understanding of patients remains ambiguous. The data concludes that awareness about clinical research remains low. Awareness will help us bring new therapies to the market. 2. Bhatt, A. (2006). 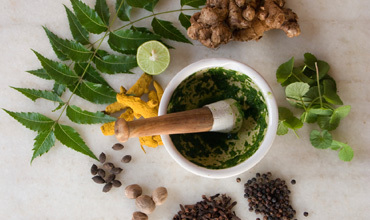 Winds of Change - Evolution of clinical drug trials in India. Pharma Times(38:), pp. 19-20. 4. Bindra, S. K. (2010). Survey on perceptions of indian investigators on research ethics. Perceptives in Clinical Research, 1:, 94-7. 6. De, M. (2005). India, ideal destination for clinical trials. Curr Sci, 89:597. 7. Fenn, C. W. (2001). The contemporary situation for the conduct of clinical trials in Asia. Int J Pharm Med(15:), 169-73. 8. Jayasheel, B. (2010). Issues regarding delay in regulatory approvals carrying out clinical trials in India. Regulatory Affairs Journal Pharma, 1-4. 9. Moin, D. (2013). Clinical trials and safety reporting under Schedule Y. Retrieved February 2015, from Pharmabiz: http://www.pharmabiz.com. 11. Parikh RM, G. M. (2011;). Trend of clinical drug trials in type 2 DM over last decade. Percept Clin Res, 2:, 64-6. 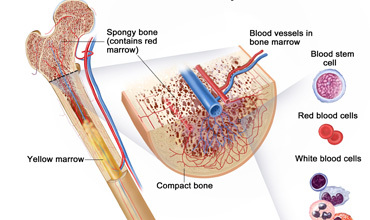 Chronic Myeloid Leukaemia (CML) is a clonal disorder of a pluripotent stem cell characterized by the Philadelphia (Ph) chromosome. The Ph is a shortened chromosome 22 resulting from a reciprocal translocation between the BCR gene on chromosome 22 and the ABL gene on chromosome 9 (Mondal et al., 2006). The resulting overactive ABL tyrosine kinase appears to be responsible for uncontrolled myeloid cell proliferation (Hughes et al., 2006). Imatinib, also called Gliveec, is the first and most commonly used tyrosine kinase inhibitor (TKI) that inhibits by binding through ATP (adenosine triphosphate) onto the BCR-ABL fusion protein of which when absent the kinase leads to uncontrolled cell proliferation. The level of BCR-ABL mRNA can be used as a sensitive marker for disease progression (Hoffbrand et al., 2001). In approximately 5% of CML cases, patients present with a variant Ph chromosome in which the Ph chromosome is derived through rearrangements other than the classic t(9;22) (Hughes, et al., 2006). The aim of this study is to assess the response to therapy between classic chronic myeloid leukaemia patients and variant translocation chronic myeloid leukaemia patients. Methods for monitoring treatment response include conventional cytogenetic analysis, Fluorescence in situ hybridization (FISH) and Quantitative PCR (polymerase chain reaction). BCR-ABL transcript levels quantified by PCR will be used to assess the response of therapy, which in turn influences the choice of clinical management. The response in therapy will be monitored in patients with variant Ph translocations compared to patients with classical Ph translocation who have or have not responded to treatment. 2. Chase, A., Grand, F. and Goldman, J. (1997) Factors influencing the false positive and negative rates of BCR-ABL fluorescence in situ hybridization. Genes, chromosomes and cancer: 18,246-253. 3. Gambacorti-Passerini C.B., Gunby R.H., Piazza R., Galietta A., Rostagno R. and Scapozza L. (2003). "Molecular mechanisms of resistance to imatinib in Philadelphia-chromosome-positive leukaemias". Lancet Oncol. 4 (2): 75–85. 4. Gizinger, D.G. (2002) Gene quantification using real time quantitative PCR: An emerging technology hits the mainstream. Experimental haematology: 30,503,512. 5. Hoffbrand, A. V., Pettit, J. E. and Moss, P. A. H. (2001). Essential Haematology. 4th Edition. Blackwell science: 183. 7. Klopp, T., (2010) Arbeitsgemeinschaft für Pharmazeutische – Germany. 8. Laurence B. and Keith P. Goodman and Gilmans Manual of Pharmacology and Therapeutics. 2006. 8th Edition. Mc-Graw Hill Publishing Company. New York: 896. 9. Mondal, B.C., Majumdar, S., Dasgupta, U.B., Chaudhuri, U., Chakrabarti, P. and Bhattacharyya, S., (2006). e19a2 BCR-ABL fusion transcript in typical chronic myeloid leukaemia: a report of two case. Journal of clinical pathology, 59:1102-3. 10. Muhlmann, J., Thaler J. and Hilbe W. (1998). Fluorescent In Situ hybridization (FISH) on peripheral blood smears for monitoring Philadelphia chromosome-positive chronic myeloid leukaemia (CML) during interferon treatment. : chromosomes and cancer: 21,90,100. 11. Talpaz, M., Silver, R.T., Druker, B.J. (2002). Imatinib induces durable haematological and cytogenetic responses in patients with accelerated phase chronic myeloid leukaemia: results of a phase 2 study. Blood 99: 1928-1937. 12. Tripathi K.D. Jaypee. Essentials of Medical Pharmacology. 2004. 5th ed. Jaypee Brothers Medical Publishers. 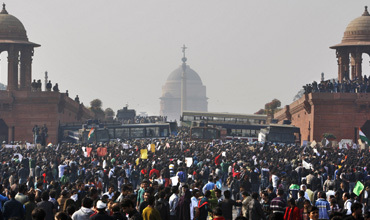 New Delhi:769. 13. Takimoto, C.H., Calvo, E., Wagman, L.D., Camphausen, K.A. and Hoskins, W.J. Principles of Oncologic Pharmacotherapy; Cancer Management: A Multidisciplinary Approach. 2008. 11 Ed. 14. Weisberg, E., Manley, P.W., Cowan-Jacob, S.W., Hochhaus, A. and Griffin, J.D. (2007). Second generation inhibitors of BCR-ABL for the treatment of imatinibresistant chronic myeloid leukaemia. Nature Reviews Cancer 7 (5): 345–56. Depressive symptoms are commonly observed in schizophrenia. Around one-fourth of patients with schizophrenia meet criteria for a depressive disorder at some point of time in their lives. Schizophrenia can lead to impaired decision-making capacity resulting from delusions, lack of insight, impaired memory and mental flexibility. Moreover, depression can negatively influence concentration and abstract reasoning abilities, and also can be linked to nihilism and a decreased concern for personal well-being. Evaluating decisional capacity involves determining whether or not a patient/subject is psychologically or legally competent of making adequate decisions about research activities. The MacArthur Competence Assessment Tool for Clinical Research (MacCAT-CR) is a semi-structured interview format most extensively utilized by researchers for assessing the decision-making capacity of potential research subjects. Although the tool has expanded its global presence, little is known about its application in Indian schizophrenic patients with depressive symptoms. Therefore, the present study was designed to measure the decisional capacity to consent to research in Indian schizophrenic patients with depressive symptoms. Hundred patients aged 18–65 years with DSM-IV-TR diagnoses of schizophrenia participated in this study. Of these, 50 patients had depressive symptoms as defined by a score of ≥ 7 on the Montgomery–Asberg Depression Rating Scale (MADRS). The patients were asked to pretend that they were potential candidates for a hypothetical trial involving an new antipsychotic drug, and their decisional capacity to consent to research was assessed using the MacCAT-CR. The study results suggest that a majority of patients in both the schizophrenia and the schizophrenia with depressive symptoms groups demonstrated adequate understanding to consent to research. Schizophrenic patients with depressive symptoms showed weaker performance on all four abilities of decisional capacity in comparison to patients with schizophrenia, as measured by MacCAT-CR. This difference was statistically significant for ‘understanding’, ‘appreciation’ and ‘reasoning’ but not for ‘expression of choice’. These preliminary findings are among the first to illustrate the decision-making capacity to consent to research in Indian schizophrenic patients with depressive symptoms. Future work calls for larger samples to provide valuable information in this area. 1. Appelbaum P, Grisso T, Frank E, O’Donnell S, Kupfer D. Competence of depressed patients for consent to research. Am J Psychiatry. 1999; 156: 1380-1384. 2. 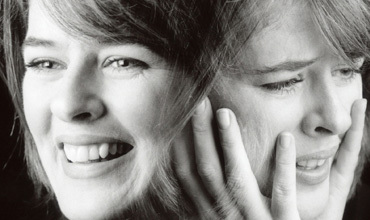 Bosanac P, Castle D. Schizophrenia and depression. MJA Open. 2012; 1(4): 36-39. 3. Bonnie R. Research with cognitively impaired subjects: unfinished business in the regulation of human research. Arch Gen Psychiatry. 1997;54:105–11. 4. Candilis P, Geppert C, Fletcher K, Lidz C, Appelbaum P. Willingness of subjects with thought disorder to participate in research. Schiz Bull. 2006; 32 (1): 159-165. 5. Carpenter W, Gold J, Lahti A. Decisional capacity for informed consent in schizophrenia research. Arch Gen Psychiatry. 2000; 57: 533-538. 6. Cohen B, McGarvey E. Willingness and competence of depressed and schizophrenic inpatients to consent to research. J Am Acad Psychiatry Law. 2004; 32:134–43. 7. Decision-Making Capacity. Available from: www.ucsf.edu/lm/ethics/Content%20Pages/fast_fact_competence.htm, accessed on March 27, 2015. 8. Jeste D, Depp C, Palmer B. Magnitude of impairment in decisional capacity in people with schizophrenia compared to normal subjects: an overview. Schiz Bull. 2006; 32 (1): 121-128. 9. Kovnick J, Appelbaum P, Hoge S, Leadbetter R. Competence to consent to research among long-stay inpatients with chronic schizophrenia. Psych Serv. 2003; 54: 1247-52. 10. McDermott B, Gerbasi J, Quanbeck C, Scott C. Capacity of forensic patients to consent to research: the use of the MacCAT-CR. J Am Acad Psychiatry Law. 2005; 33: 229-307. 11. Moser D, Schultz S, Arndt S. Capacity to provide informed consent for participation in schizophrenia and HIV research. Am J Psychiatry. 2002; 159: 1201-1207. 12. Palmer B, Dunn L, Appelbaum P. Assessment of capacity to consent to research among older persons with schizophrenia, Alzheimer disease, or diabetes mellitus: comparison of a 3-item questionnaire with a comprehensive standardized capacity instrument. Arch Gen Psychiatry. 2005;62:726–733. 13. Ray G. Psychopathology and psychiatric disorders in neuropsychiatric patients. A Prospective Study. Available from: http://www.priory.com/psych/neuropsy.htm, accessed on April 15, 2015. 14. Siris S. Depression in schizophrenia: perspective in the era of “atypical” antipsychotic agents. Am J Psychiatry. 2000; 157: 1379-1389. 15. Schizophrenia. NHS Choices. Available from: www.nhs.uk/Conditions/Schizophrenia/Pages/introduction.aspx, accessed on March 24, 2015. 16. Stroup T, Appelbaum P, Hongbin G. Longitudinal consent-related abilities among research participants with schizophrenia: Results from the CATIE study. Schizophr Res. 2011; 130 (1-3): 47–52. 17. Vogel-Scibilia S. The controversy over challenge and discontinuation studies: perspective from a consumer-psychiatrist. Biol Psychiatry. 1999;46:1021–114. 18. Zisook S, McAdams L, Kuck J, Jude L, Jeste D. Depressive symptoms in schizophrenia. Am J Psychiatry. 1999;156(11):1736-43.